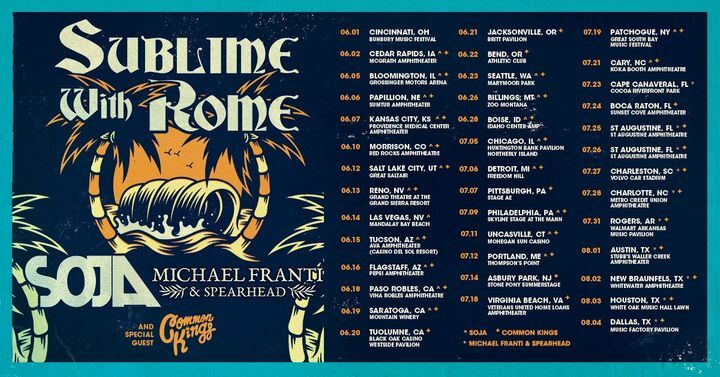 Tickets and VIP packages for the Blessings Tour with SOJA, Michael Franti, and Common Kings are on sale NOW at sublimewithrome.com. See you this summer! opening with rocket from the crypt was 👌 and offspring blew it out of the park 🙌. But my baby Rome was absolutely mind blowing . Sublime with Rome was AMAZING, but the VIP area was lacking. Bar area was a mess. Lines merged with the bathroom. Couldn't get a drink after the show started. Had a fantastic time at the show. The concert at Gexa was great and the after party at House of Blues Foundation Room was epic! 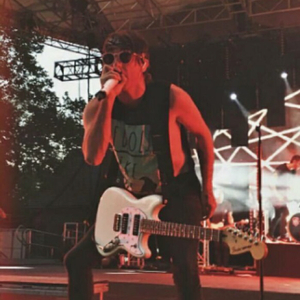 Rome and the boys, along with Dirty Heads and Tribal Seeds, made it a special night.